Mindful of how you mix your oils. You can be a creator with a little ingenuity. A brand of hair oil is the best that its company could make. Different brands of hair oils tout different advantages. 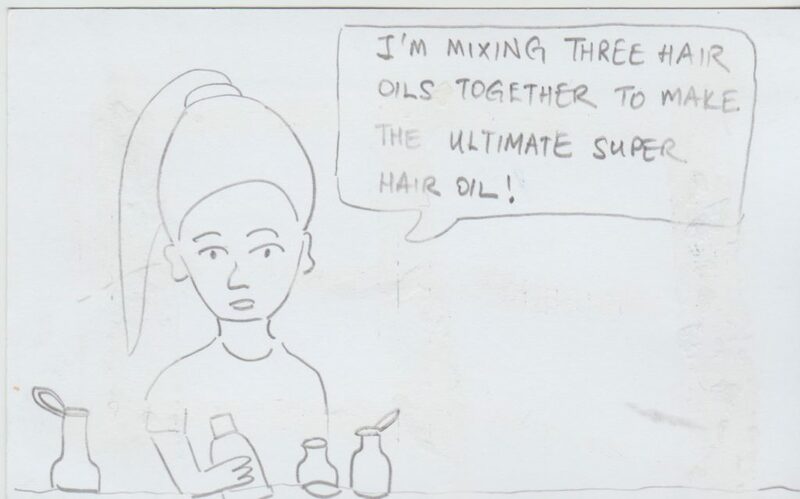 This young woman chose to mix and blend three types of hair oils, to create the best of three worlds.